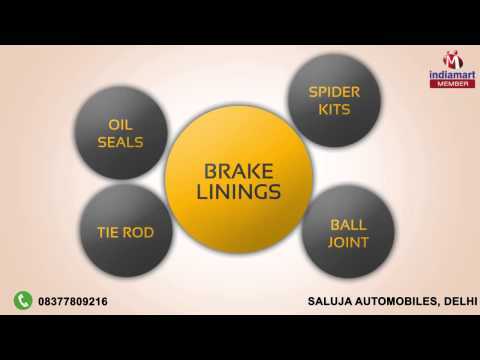 Welcome to Saluja Automobiles, established in the year 2000, we are one of the finest Manufacturers and suppliers of this diverse and impeccable range of Automobile Parts. Inclusive of Oil Seals, Tie Rod and Ball Joint. Making of this range is done in compliance with the set industry norms and guidelines, utilizing the finest raw materials and modern machines. This ensures the product%u2019s sturdiness, durability, resistance to corrosion and dimensional accuracy. In addition to this, the offered range, comprising quality products like Automobile Connecting Rods, Automobile Transmission and Steering Systems, is known to be marked at the most reasonable rate possible. Further, our ethical work practices have attracted reputed clients South Africa, Asia and Europe towards us.